Are screen protectors necessary in the days when we have corning glass? Let’s uncover the fog here. There was a time when people were damn careful to protect phone screen while they used Smartphones! Now, (the days are back again) after these years, as devices have become sturdier and stronger, people started the rough-use scenario again. Manufacturers are adding unibody frame and aluminum build to make the device stronger and resistant towards bumps and drops. And, of course, here is Corning Gorilla Glass for screen protection as well. Nevertheless, despite these high-grade Gorilla glasses, the breaking of Smartphone screen remains a nightmare for most of the Smartphone user. As a matter of fact, you will be able to use the Smartphone touch even when the screen has been broken – if there’s Gorilla, in most cases. However, you’re not going to get the same old feeling when you look at the screen. Therefore, as a precaution, it’s always nice to get some extra screen protection for your Smartphone so that it won’t break in almost all situations. The best-proven way to protect the screen is to prevent dropping it (you know ;) ), but the methods we’ve given below to protect your phone screen will be useful in several scenarios. 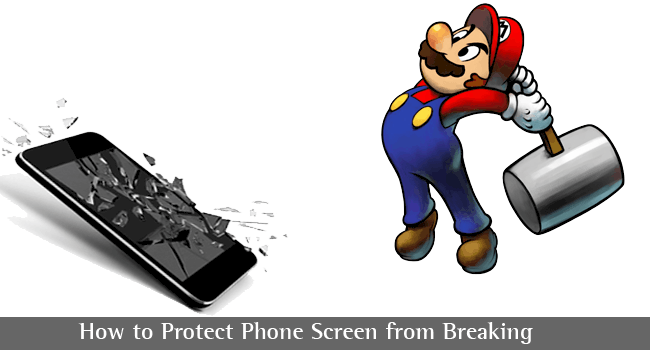 Of course, getting a screen protector and installing it on the Smartphone screen is a good method to protect it! Apart from the Gorilla Glass your device may have, an additional protective layer can absorb the impact when subjected to drops and bumps. There are different types of screen protectors available in the market – Plastic and Tempered Glass screen protectors. Plastic Screen Protectors offer the basic-level protection. You will be able to get rid of commonest obstacles such as dust, dirt, oils etc. In addition, if you can get a Smartphone screen protector from a popular, trusted brand, the level of protection would be more than sufficient, we believe. However, for installing the protector with no air inside, you may need an expert’s help. Also, there may be some issues with display quality – sharpness, for instance – when it is used. The Better option is to get a tempered glass screen protector for your Smartphone. Now, if you are thinking how to apply tempered glass screen protector, then it’s really not a problem. While the plastic ones are meant to offer protection from dirt, dust etc, tempered glass screen protectors can actually absorb an impact that’s applied on the screen during drops or falls. 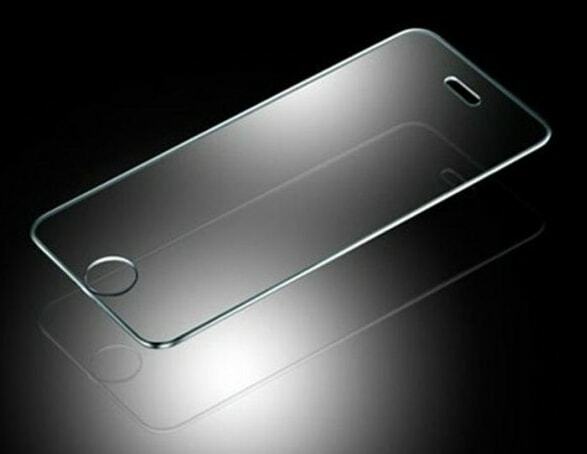 In other words, putting a tempered glass screen protector on your device screen will be equal to adding another screen, which is protective in function. However, the glass-made screen isn’t going to be bulkier in the long run. It’s so because these tempered glass protectors are available in varying thickness. How to clean tempered glass? Well again, another advantage of tempered glass protector is that the display quality remains intact. The visual feel will be the same and it’s quite a lot better than the plastic protector scenario. So, again no special requirements, only a dry cloth will do to clean tempered glass. However, there is one disadvantage as well. As we had mentioned earlier, tempered glass protectors are of an extra thickness, as they’re meant to protect direct strikes and drops. So, at least for some users, the addition of thickness would be a problem. Yet another issue is that tempered glass screen protectors cannot protect devices with a curved display. For instance, if you have devices like Galaxy Edge Plus, the tempered glass protector isn’t sufficient. The glass surface won’t bend, meaning that some of your display remains unprotected. In those situations, you have to go with plastic ones. The very first question here – Are screen protectors necessary? Yes. A big YES, and in our opinion, you should go for a high-class and high-quality tempered glass protector as long as you have one fully flat display. There will be some increase in the screen thickness, but it’s fine given that the device screen is protected from shatters and common breaks. 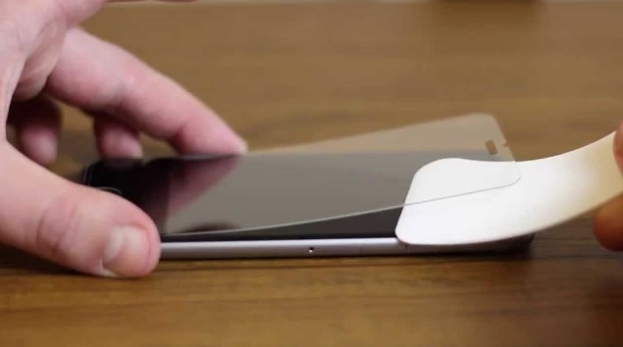 What happens when your Smartphone hits the floor is that the edges receive most of the impact. That is one of the main reasons why the screen gets broken. Getting a bumper case for your Smartphone will protect the device screen from this. It has to be noted that the protection should have additional ridges or a stronger construction on the sides. If you can get such a protective case, you can extend the protection to device body as well. We believe this is a good precaution you should take. And, it’s awesome if you get a combo of protective case and tempered glass protector, it means a superb way of protection for your Smartphone. So, now the very first question is – Are screen protectors necessary? We would say that the best way to protect phone screen is to pay some attention while using it! Of course, you’ll not be able to be conscious of it all the time, but when you do, it will be useful. Before 2 days one of my University friend broke his mobile’s screen in a small cycle accident. He is really sad with his HTC 826 phone because it was almost new. Both your ideas seem great to save screen. I will take necessary steps right now to save my mobile’s screen. Thanks a lot bro for the tips, as I have broke my Lumia 625 screen twice. Thanks for sharing the information on this topic it will help us to safe our screen. Thanks again. Awesome ways to protect phone screen. Its really informative. Nice Article, I have something to add to it. Nowadays privacy glass guards also available in market after applying it on screen you protect your screen and person sitting beside you cannot see what you are doing in your phone. Isn’t it great. 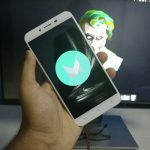 How to protect home screen from breaking is really very important process and we all need to thank you so much for post. This is nice stuff for us. Keep posting. Protective bumper case, that’s what I use on my phone and it looks really great at the same time protects my phone perfectly. Oh!Maybe you can recommend something to protect iPhone 6S? I’m looking for a long time. We have covered the information for both Android and iPhone here. Instead of a Bumper Case, may be we can go for Armor Cases, which are more Strong and Reliable than the Bumper Cases! Of course the best proven way to protect the screen is to prevent dropping it but dropping is the unexpected thing right. We can’t prevent the dropping but we can prevent screen breaking with other alternatives like you listed above. Getting a bummer case is a nice idea. But the problem with using bummer case is that most of the times it becomes difficult to carry the mobile in the pocket. Well it depends on the size of mobile too. I have heard about only plastic screen protector and tempered glass screen protector. Now I am gonna to try bumper case screen protector. Great Article! Thanks for your valuable information. Thanks for sharing about bumper case screen protector, Dude. I never heard about it and I am gonna to try this right now. Great tip to protect the phone screen. Thanks for sharing the useful post. Keep on updating. Are these screen protectors necessary for Samsung Galaxy S7 edge??? Bumper case is a protective solution for any smartphone, which covers the edges and corners only, not the screen and rear side. So by covering the necessary parts only, you can decrease the bulkiness of your smartphone.